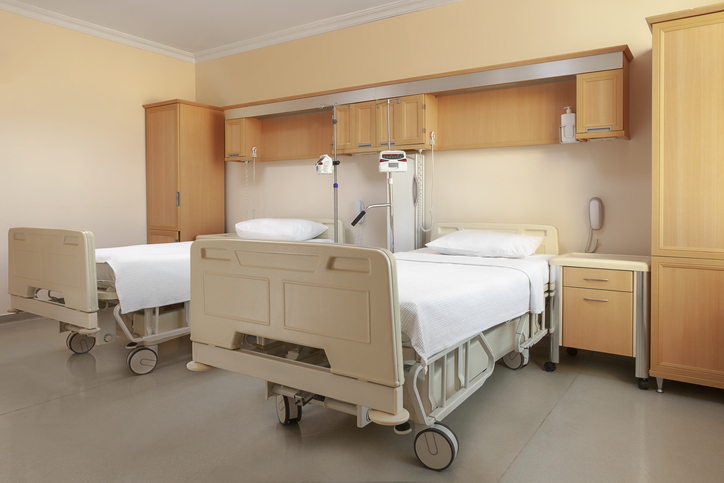 Healthcare providers know that inpatient volumes are down over historic levels. (But let’s not talk about emergency department volumes—those are WAY up.) They know this trend originates mostly with Medicare beneficiaries. They also know the causes: migration to outpatient services, observation day rules, intense focus on decreasing length of stay, and reduced readmissions as part of their quality initiatives. What they may miss, however, is that this trend also has something to do with the declining average age of our nation’s senior population—a phenomenon that first began in 2005 and will continue until about 2020. In 2005, the average age of our nation’s senior population was 75.2 years; in 2020, the average age is expected to be 74.4 years. This fact is important because older seniors consume significantly greater healthcare resources than younger seniors. Today, those over 65 represent about 15 percent of the total U.S. population. By 2020, one out of six Americans will be 65 or older, rising to 22 percent by 2040. Understanding how this population is distributed among age cohorts is critically important not only in understanding current trends in reduced utilization, but also in preparing for the future. This increasing proportion of the population that are seniors is important because the average Medicare beneficiary consumes about four times the hospital-based services as the average commercially insured person. But it is just as important to look more closely at consumption patterns within the senior population. Those between ages 75 and 84 consume about 60 percent more services than seniors ages 65 to 74. Those age 85 and above consume about two-and-a-half times as much. According to U.S. Census forecasts, in 2021, the over-75 population will make up the lowest percentage of the senior Medicare population in recent history, at about 41 percent. By 2040, seniors older than 75 will constitute 55 percent of the total senior population. This fact alone would suggest that we are in for a reversal of declining volume patterns—but by how much? The answer is that if nothing is done to further reduce admissions and days per 1,000 for the senior Medicare population, inpatient days should almost double from about 70 million today to about 130 million in 2040 on the basis of demographic changes alone. That represents a need for some 220,000 additional beds at 75 percent capacity by 2040—never mind all the other healthcare services that will be needed. But even as there is general recognition among healthcare leaders of the advent of an aging population, there is also the general sense that somehow, we will not need the same level of resources to meet that demand as we do today. Where does that sense of assurance come from? Apparently, it stems from the belief that unnecessary and excess utilization exists purely due to financial reasons, and that even more of the care delivered on an inpatient basis could be performed on an outpatient basis or at home with better monitoring and intervention through new technologies. But there also appears to be an ignoring of the well-known trend for the population becoming increasingly co-morbid at ever-younger ages. Additionally, some believe that increased focus on addressing social determinants of health, which impact 64 percent of health outcomes, will reduce need for medical services. All of these assumptions may be true, in theory. In practice, however, as a senior healthcare executive and registered nurse said to me recently, “People are really sick. You have no idea.” There is also the enormous question of how one staffs and gets paid for programs and investments that might reduce demand for hospital-based services. The economics of today’s medicalized approach to health care is unprepared to address this. This is an issue that should be of paramount importance to healthcare providers. As seniors comprise a greater portion of our population, demand for inpatient and post-acute services will significantly increase. The hope and dream expressed in the view that hospital-based utilization might be reduced springs from a terrible reality: Hospitals in general, with the possible exception of high-end tertiary/quaternary services, lose money on government-reimbursed volume—and this will only get worse as cost inflation continues to exceed government reimbursement trends. The prospect of the demand for inpatient days nearly doubling over the next 20 years paints a horrifying financial picture. Who, then, would not want to hope that something magical will happen to prevent a scenario that logic and data tell us is likely to occur? It’s time for healthcare leaders to take a hard look at the trends around senior aging and have tough discussions with their executive teams and boards about the impact these trends could have on their organizations’ futures—and what they should be doing now to prepare.